We all believe on a divine almighty superpower that is always around us “invisible” and can perform all those things which we can wish, but cannot do ourselves. We worship them for their superpowers and sometimes for their teachings and lessons. The faith over a period of time becomes so strong that we transform ourselves into “devotees”. We worship them as our ideal, our GOD, our savior, our protector, and our guide. In India people worship billions of Gods and their places of existence. It is the belief or the ideology which is represented in the form of worshiping rats, idols drinking alcohol, leaders, toys and even “Bikes”! It is believed that Om Singh Rathore – now worshiped as “Om Baba”, “Om Banna” or “Bullet Banna”, on 2nd December, 1991 met with an unfortunate road accident and died on the spot. He was riding his 350cc Royal Enfield bike when he lost control and hit a tree and fell into a ditch. The local police found him dead and took his bike into custody. The bike was kept in the police station that night only to be found at the accident sight next morning. Surprised policemen thinking that someone must have taken the bike from police station took it back and emptied the fuel tank. The bike was tied with kept in locks that night so that no one can steal it. Shocked the very next morning policemen found the bike again at the same accident site. After even a lot of efforts they could not manage to keep the bike at the police station and always found the bike at the same place before dawn. The story soon spread amongst the localities and villages nearby and was viewed as “Miracle” and “Divine Event”. 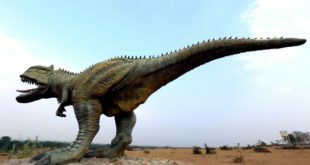 The story of “Banna” was soon worshiped. 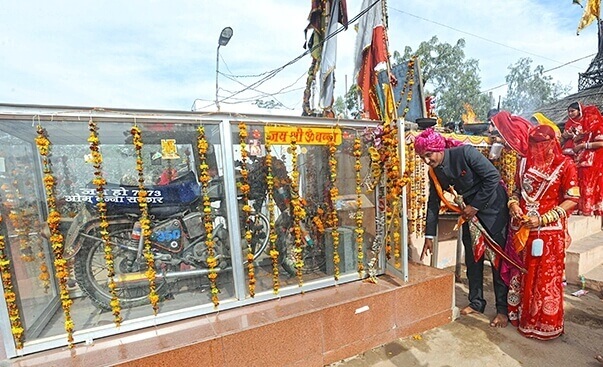 The bullet miracle got recognized as the work of the spirit and helpful soul of “Om Singh Rathore”, and villagers constructed a temple where this 350 CC bike has been placed. 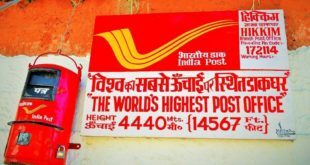 The temple is now situated 20 km from Pali on Pali-Johpur Highway. 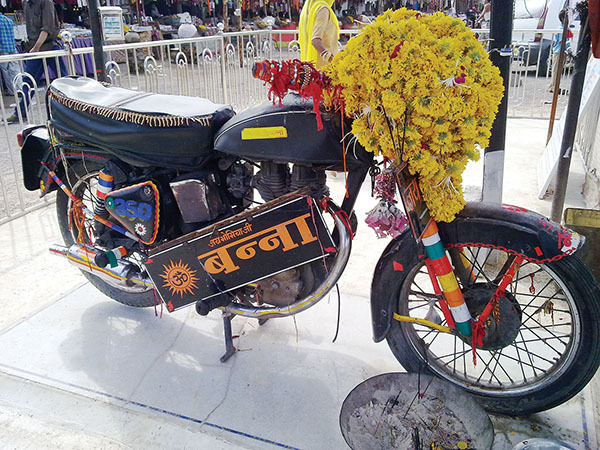 People worship the bike and have a strong believe that “Om Banna’s” spirit help anguished travelers and halting at his temple sooths them. Travelers stop at this temple, pray and offer their offering, sometimes even alcohol, and take blessings of a safe journey. A strong believes is anyone not stopping at the temple is sure to meet some danger. 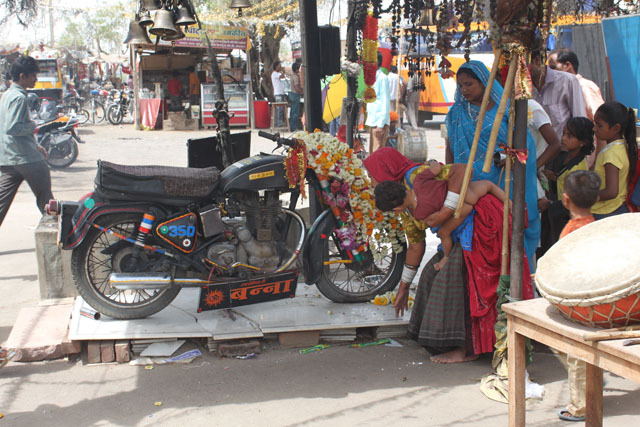 Devotees apply “Tilak” on the bike and offer flowers, garlands, and bow their heads in Banna’s honor. Whatever the belief or whatever is the form or physical appearance of the God/ miracle may be it is the trust, devotion, and ideology that works and that is the best part of mankind. We always worship the good, kind, and truth. We always wish for the happiness, and well being of everyone and that is the essence which is demonstrated across the nation and world.